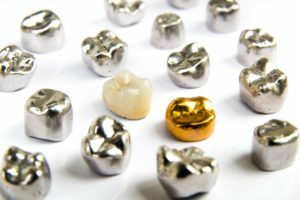 How Can Crown Lengthening Benefit You? Crown lengthening is a common dental procedure that is used to improve or change a person’s smile by exposing more of the tooth through the removal of excess gum tissue. It involves the removal of gum tissue in most cases. In other cases, the removal of bone and or gum tissue may be involved as well. It may also be used to place a dental restoration on some teeth. If you have excess gum tissue that covers your teeth, it may make your teeth appear shorter than they really are. If your teeth look smaller when compared to your face, crown lengthening may also help. This is also known as a gummy smile, pictured below. By removing the excess gum tissue that is located at either the top of the teeth or bottom of the teeth, it gives the teeth an elongated and more natural look. For some patients, certain teeth may have so much gum tissue that some dental restorations cannot be placed such as a dental crown or dental filling. Sometimes if a tooth breaks at the gum line, crown lengthening would be necessary to access the unexposed tooth. It is advised that your teeth be professionally cleaned first before the procedure. The use of anesthesia or sedation is usually required for the procedure, and the treatment length will depend on the number of teeth that need crown lengthening. During the process, a small amount of gum tissue is removed so that it can be shaped to enhance your smile. Once the gums have been shaped, they are sutured and left to heal. There is a short healing period where additional caution must be taken while brushing, flossing and eating. Most patients can have this procedure completed in about an hour. Contact us to schedule a complimentary consultation so we can discuss all available treatment options to suit your needs. 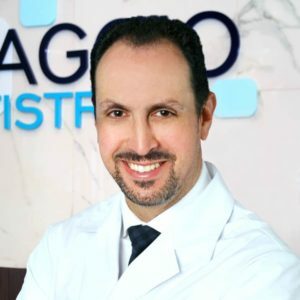 Located in Brampton, Ontario Dr. Joseph Salvaggio has been practicing general, cosmetic, and implant dentistry for over 20 years. He enjoys interacting with his patients and helping to restore their oral health for better overall health as well. Meeting new patients, interacting and educating them is one of Dr. Salvaggio’s biggest joys. We encourage you to read our reviews or call us with any dental questions you have. We look forward to speaking with you and meeting you soon. Comments Off on How Can Crown Lengthening Benefit You?